Reading and Writing Notebooks… New Covers! I finally have our Reader and Writing Notebooks finished and up and running!! I loved using scrapbook paper last year, but I just couldn’t find a pack of colorful paper this year that I loved… everything had either the wrong colors or the wrong patterns! I know, I’m picky! Plus, it took time to put everything together last year and I wanted to create an option that I could reuse year after year without having to put in hours of work each time! So my new design…. chevron binder covers! I still personalized the binders with a special font for each student and various colors, which they love! I switched the binder location this year because I added a new bookshelf to our classroom and I have more students, so the binders fit better there! I have them arranged by color and my sweet kiddos do a great job keeping them organized and all lined up! They get their binders out during the morning for Daily 5 and in the afternoon for writing. 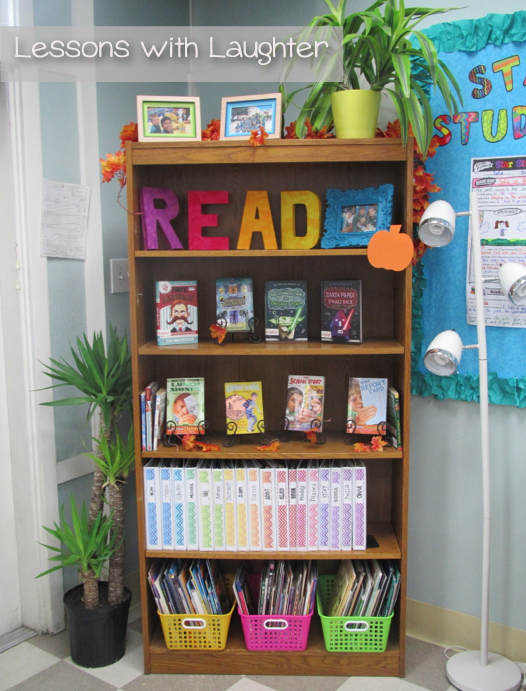 It is nice to have their reading & writing tools and resources all together in one place! And it definitely helps with their organization! I’m also using a lot of the same printables since they worked really well. I have found some new resources which we are adding this year that I am really excited about and I’ll share throughout the year as they come up. I also updated my “Synonyms for Said” printable so that it is now available in both black & white and color! And it’s a FREEBIE! The students have the black and white version in their binders and I have a color copy up on our whiteboard! You can purchase your own set of chevron binder covers here at my TPT store! Love the notebooks. They look super cute and very organized on your book shelf! What a great idea!!! I am going to have to steal this idea from you!!! Right now my students have their own writing notebooks–they put all of their writing in the notebook. But, I think it's a great idea to have their reading in there as well! Rainbows are my ABSOLUTE FAVORITE!!! i'm in love with these! I love the idea of it all in one place-thanks for sharing! Those look SO GREAT! I'm doing binders for the first time this year but having them go back and forth between school and home and it is getting a little messy (and often forgotten). 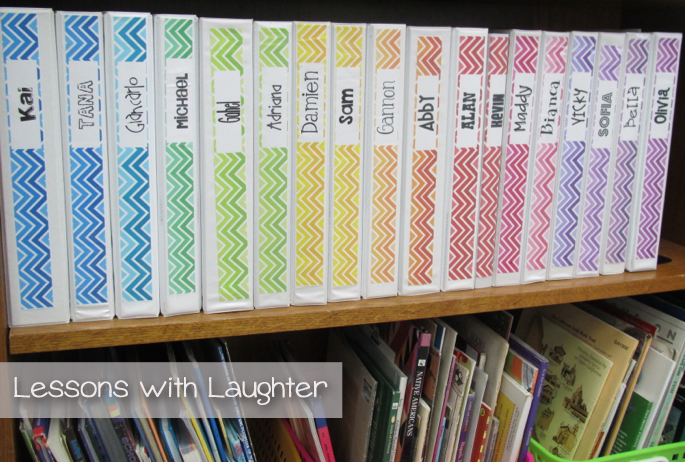 I love the idea of using binder organization and keeping it in the classroom. Where did you buy your binders? They are more expensive than I remember and I'm searching for good deals! I love them!!! They are so organized and eye-catching! I especially like how each is a bit different so the kids can find them easily. I love using binders in class–it's so much easier to organize their notes and handouts. I love your binders…I can see how they would really make your kids want to use them!! Wow. Loving your organization! I'll be back! Could you share where you got these binder labels from? I love it!